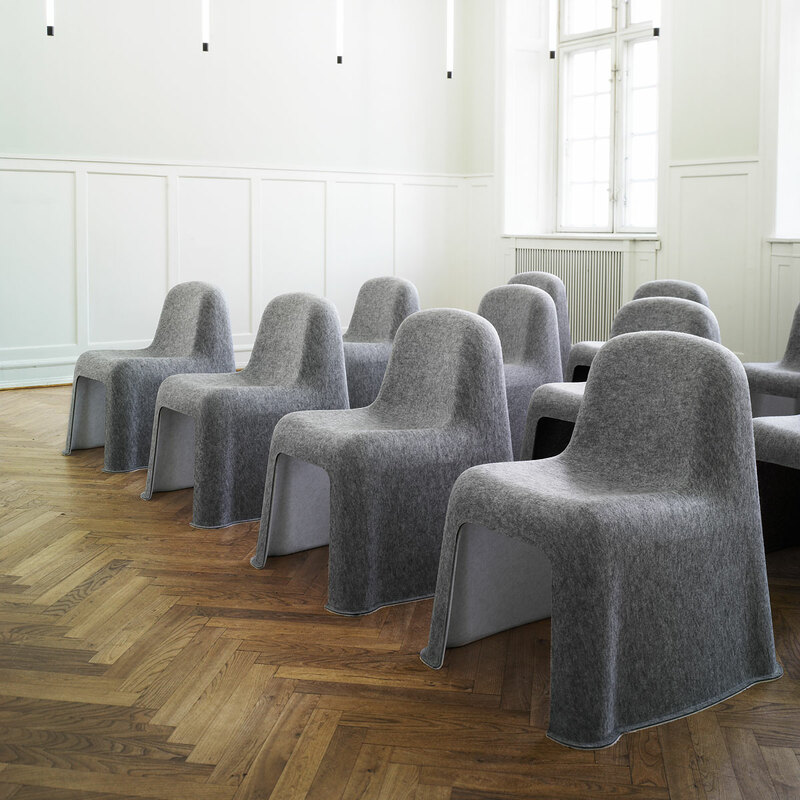 Designers Boris Berlin and Poul Christiansen of the Danish design company Komplot, designed a chair that can be pressed into shape from a single piece of industrial felt. 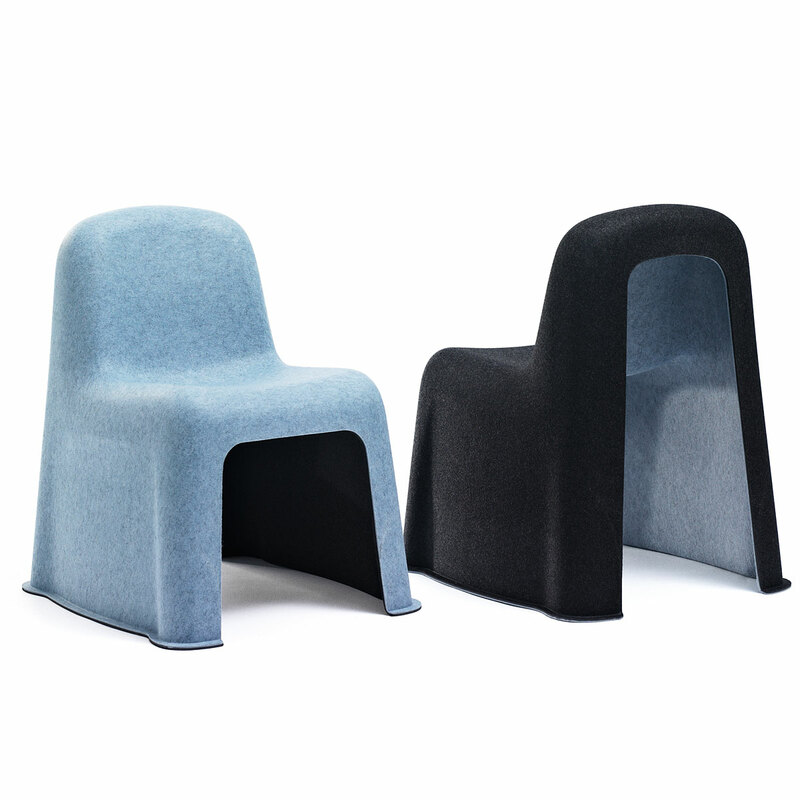 The felt is made from recovered polyethylene terephthalate–aka PET– from used plastic water bottles. Because of the fact that it’s pressed from a single sheet of felt and heated to permanently take its form, it has no need for any hardware, glues, or other additional reinforcements (thus its namesake). 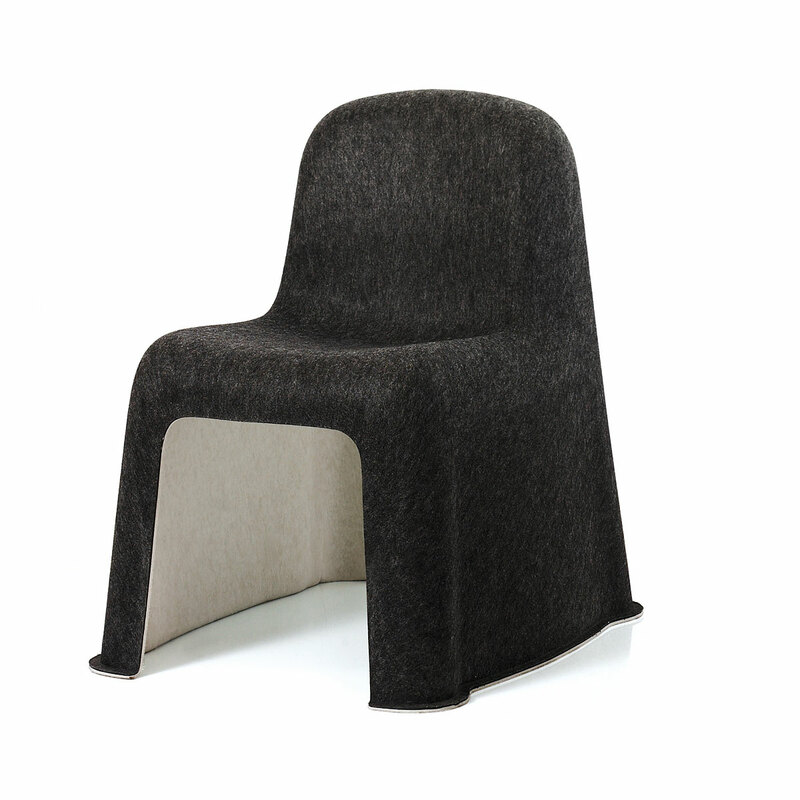 The Nobody chair can be easily stacked for storage and also can be recycled in the future. I think it’s a beautiful design, not to mention very clever, but I am a bit skeptical about whether or not the manufacturing process is sustainable or not.